Inspired by the long, cold and seemingly endless Canadian winter, our Winter Ale is a true winter warmer. Handcrafted with specialty hops and malts, combined with generous amounts of cinnamon, honey, ginger and orange peel, this unique beer is brimming with flavour. 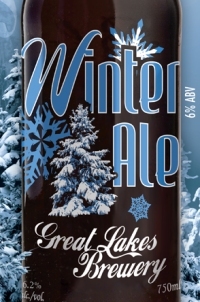 This year’s batch of Great Lakes Winter Ale will be launched with a special cask version to be tapped at the monthly Project X night at the brewery on November 11th, and it will be available at the LCBO in a newly designed 750 ml bottle soon after.